Video editing evolves as technology improves, audience and creative preferences change. As a result, creators take risks to define new standards for how we edit. 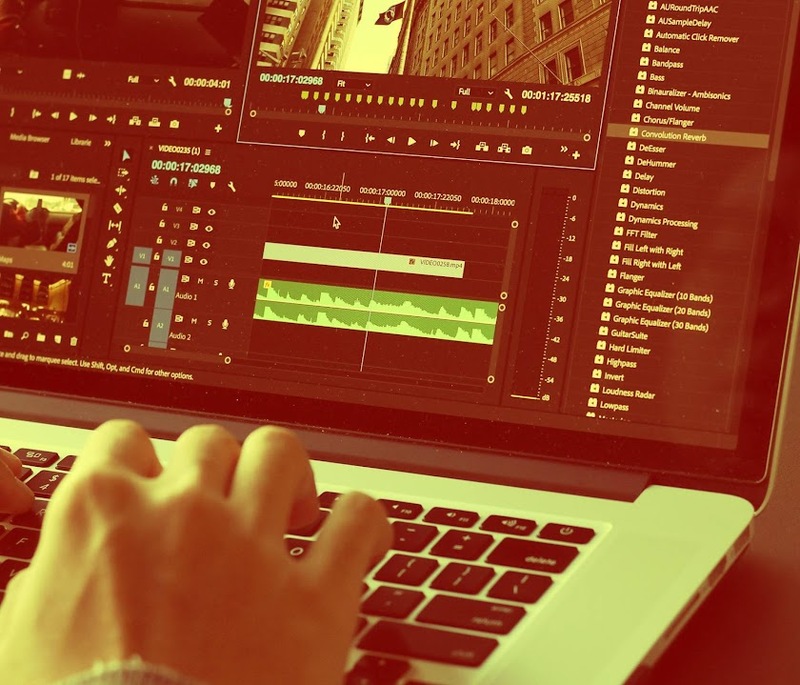 From an increased usage in templates to a focus on using color, light, and different camera motions, here are the video editing trends you should be aware of this year! Editing as you go is becoming more-and-more popular in video making. We’re not talking about editing on-set in a black tent as the shot’s being taken, but editing from your mobile device whether that be on a train, a plane, or your living room couch. We are relying on our mobile devices and tablets more and more to do complex tasks like video editing, and that makes this video editing trend so relevant today. Looking for on-the-go editing with our favorite Adobe software? Premiere Rush CC is designed to work across all platforms whether you’re taking your video project with you in your backpack, pocket or otherwise! Motion Graphic Templates or MOGRTs are pre-built video elements that you can download then import and use in your own projects. They are both a learning tool and a short cut to help you build whatever you can imagine. A lot of the time, there’s no real need to re-invent the wheel — MOGRTs can help you save some time and make sure your project checks all your boxes. Motion Array, an industry-leading resource for motion graphics editors, recently released a free video editors toolkit that has over 170 different effects, including MOGRTs for editors to use to spice up their video graphics. If you haven’t gotten into using MOGRTs, this is a great time! The orange-teal color grade seems to be a trendy video editing trick, but it’s really based on the science of colors. Because all skin tones sit in a relatively small orange area of the color wheel and using contrasting helps make footage really pop, the combination of orange and teal makes a lot of sense. Using an orange-teal color grade helps to create bold, colorful images that have a genuine and true look. This video editing technique helps to produce sharp imagery, enhances the story, and makes subject faces really pop. Need a hand creating an orange-teal color grade? The luma fade was made famous by filmmaker Sam Kolder. This trendy transition uses a gradient fade that focuses on transitioning between clips using the shadows and highlights. It gives you a smooth but drastic transition that can really add a distinct element of style to your project. A traditional luma fade occurs when a gradient transition fades the shadows of the clip first, followed by the highlights. You can invert this transition by fading out the highlights first and shadows second. This type of transition is popular because it gives a modern stylized look. The whip pan is a transition that involves fast movement, blurry clips and a seamless transition from clip-to-clip. It occurs when you jolt or move the camera at a fast speed (alternatively you can simply speed up the video clip) and cut to a new scene where the camera is also moving. The whip pan is an effective transition because both the change of pace and blurred footage help hide the cut. You’ve transitioned into a new scene before the viewer has noticed, giving it a seamless and natural feel. Video editing trends change as technology improves, filmmakers take more risks and audience preferences shift. Staying on-trend while editing can make sure your projects are modern and up-to-date but forging new trends can make your work cutting edge. There are a ton of great elements that you can use in your video editing projects to take them to the next level. What are you going to do next?